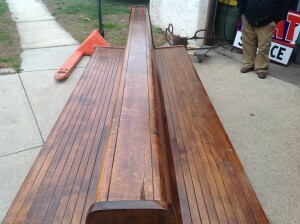 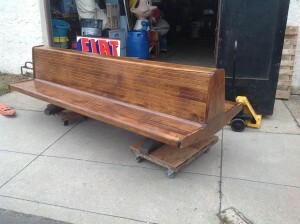 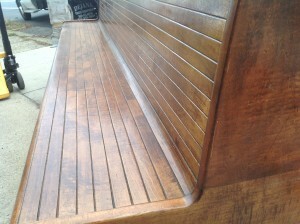 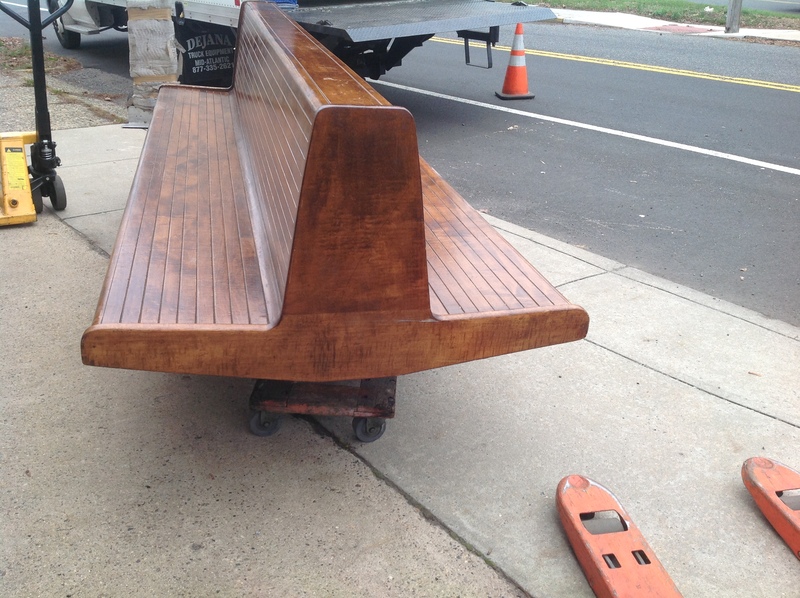 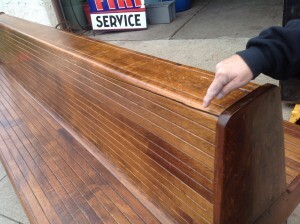 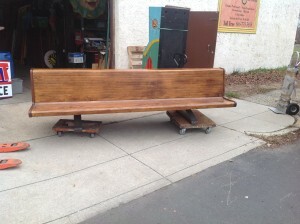 Fantastic antique Newark Penn Station train station bench in as found condition. In storgage for years in the basement of Penn Station after being removed from an old train platform. Measures almost 10′ long and heavy. 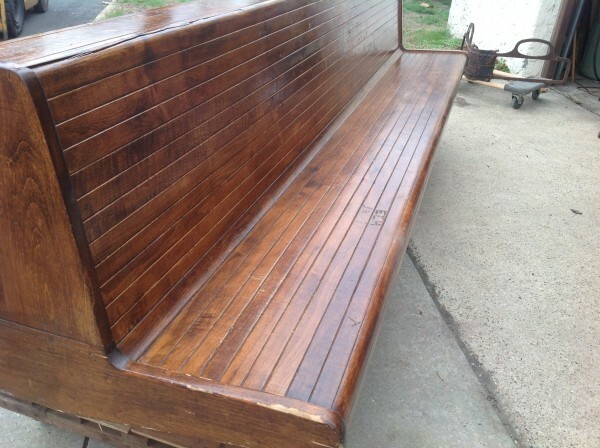 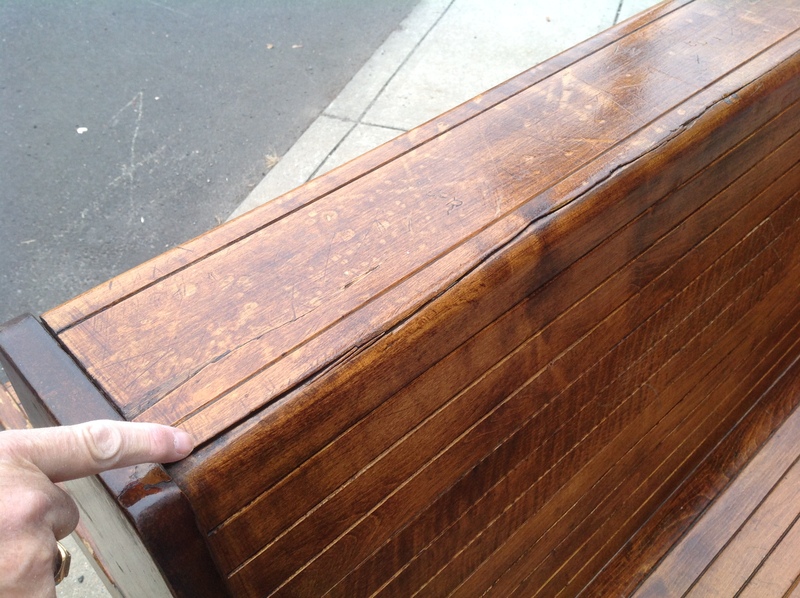 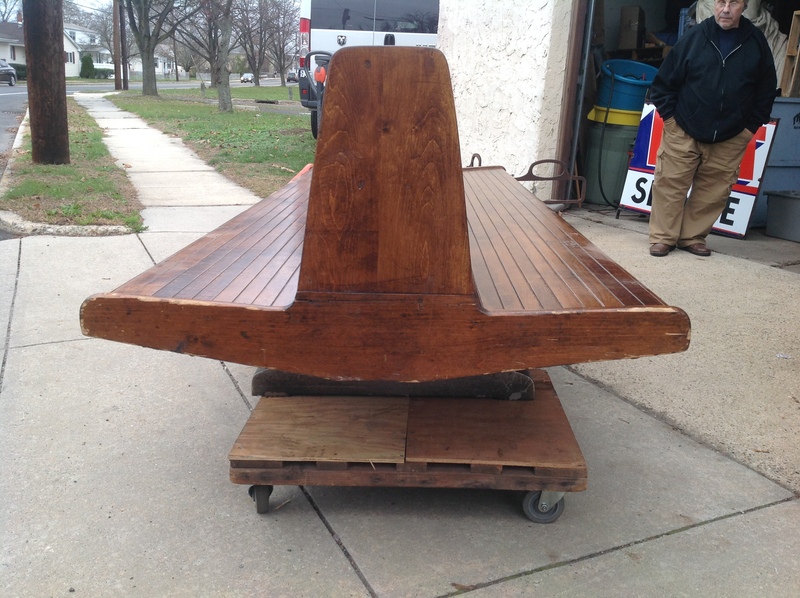 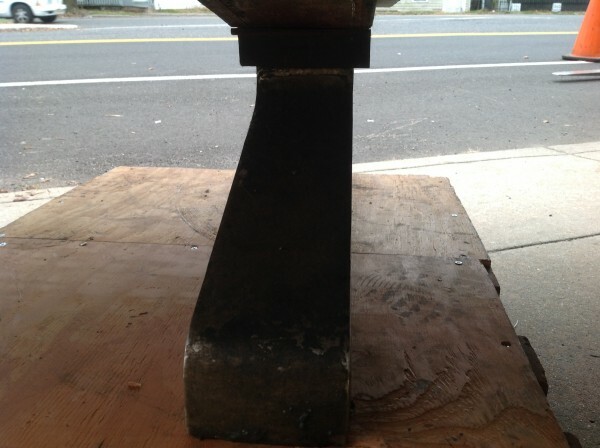 Bench shows its age with a few nicks, scratches and may need some minor gluing. 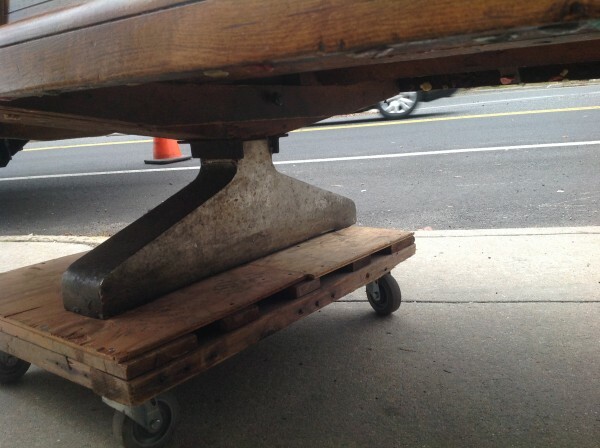 Truly a “RARE” item……..